Moving from one place to another can be tricky and tough. New property, new people and an entirely new routine and lifestyle; a relocation is emotionally challenging. To make matters worse, the task of packing and moving belongings and the effort required to safeguard each item usually make the move get out of sorts. The financial involved too mount pressure and stress. But with services of professional movers Newmarket the job gets simpler and in fact comfortable. 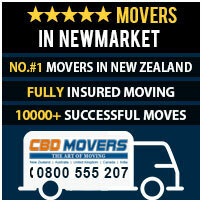 At CBD Movers NZ, we are the most sought after removalists in Newmarket. With unmatched skill and proficiency to take up removals, we assure a comprehensively planned and Superiorly executed move. We, at CBD Movers NZ, are renowned for our widest spectrum of removal services. Be it deploying men for basic loading and unloading of belongings to and from the truck or taking up comprehensive packers and movers job; we are equipped to handle all. House relocation, office shifting or moving heavy and bulky furniture items; our crew is trained and equipped to take up all with ease and competence. Tools, trucks and the licenses and permits are our assets. We possess the latest technological advancements and upgrade our skills constantly to remain ahead in the league. Our huge fleet of trucks is well maintained and regularly overhauled for best removals. We have a well-established network and hold the necessary licenses to take up move without legal hassles and delays. Our crew with its unmatched skill and competence helps you enjoy a perfect move. 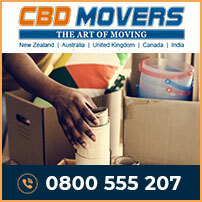 At CBD Movers NZ, we understand the nuances of the business and are well-aware of the problems associated with it. Thus, we offer customized solutions that are tailor-made and affordable in every respect. We operate on bulk and enjoy the economies of scale. The benefits of this are passed on to clients in form of cheapest removal services in the region. We also offer comprehensive transit insurance cover for added protection. Our moving services are transparent with no hidden clauses. Newmarket, a small suburb Auckland, New Zealand, is a prominent business hub with premier retailing area. Primarily an industrial and commercial centre, it is one of the busiest suburb in Auckland. At CBD Movers NZ, we offer services and solutions to help you relocate your office, home or furniture to and from Newmarket easily and competently. We offer moving services that are safe, reliable and affordable in every manner. Get in touch with us for customized removal deals and solutions.